These four albums, by the finest pop instrumentalist of the last fifteen years, celebrate the work of Vini Reilly; they also feature, as manager, mentor and drummer, the great Bruce Mitchell. But we also want to celebrate the founding role of legendary producer Martin Hannett. It was Martin's idea to take a lone genius guitarist and by providing a unique aural/noise/rhythm background, allow this boy Vini to make great music and express himself on record. 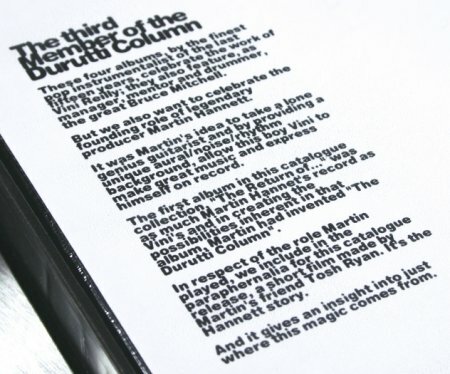 The first album in this catalogue collection, "The Return of ..." was as much Martin Hannet's record as Vini's and in creating the possibilities inherent in that album, Martin had invented "The Durutti Column". 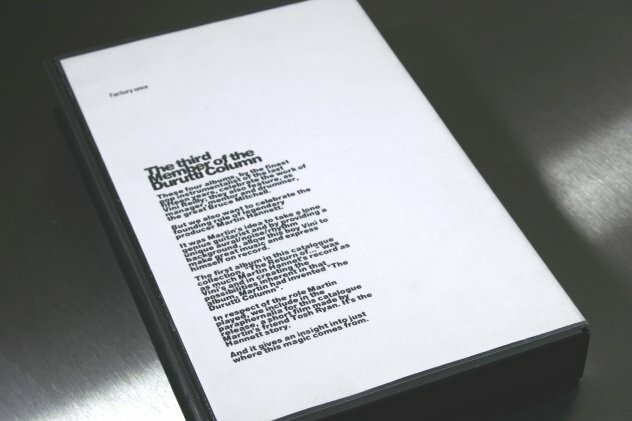 In respect of the role Martin played, we include in the paraphernalia for this catalogue release, a short film made by Martin's friend Tosh Ryan. It's the Hannett story. And it gives an insight into just where this magic comes from. 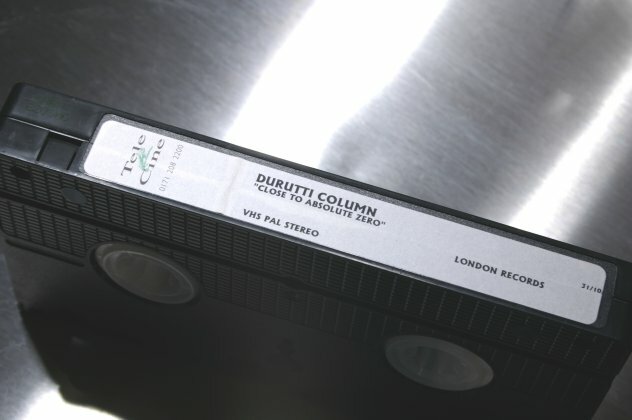 VHS film about Martin Hannett by Tosh Ryan. 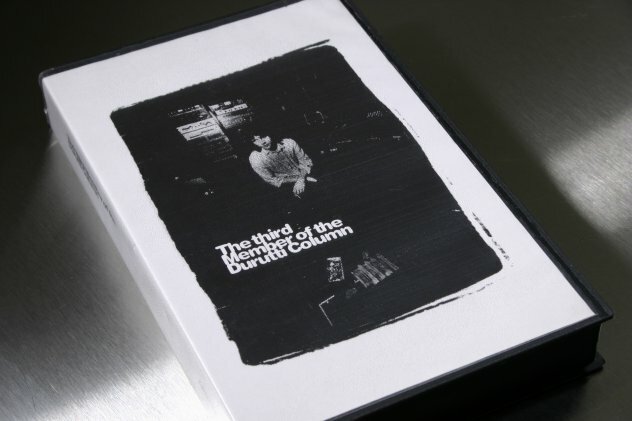 Promotional item for the first four Durutti Column (Factory Once) CD re-issues in 1996. Packaged in an over-sized "clamshell" box. Alternate title (as seen on tape label): 'Absolute Zero'. Design by 8vo.